1. Heat oil in a pot over medium heat. Add onions, cumin and turmeric, and cook until soft, about 7 minutes. Add ginger and garlic, and cook for another 5 minutes. Add tomatoes, curry powder, garam masala, cumin, sugar and cayenne. Cover, and let the mixture simmer over low-medium/medium for 25 minutes, stirring occasionally. 2. 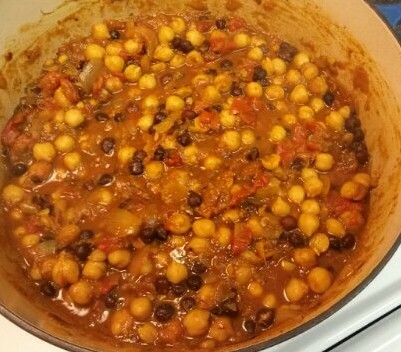 Add chickpeas, liquid, and lemon juice to the mixture, and simmer for 10 more minutes. Stir in frozen greens (if using) and adjust seasonings if necessary. Pretty good. I think I’ll up the tomato sauce and cut back the coriander a little. (*The measurements up there reflect these changes!) 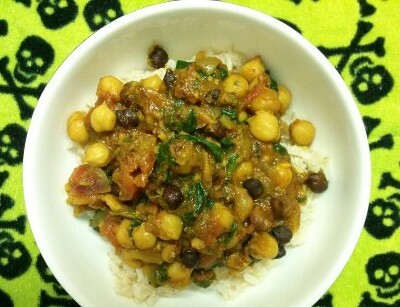 I served this over brown basmati rice. You could also make my easy and non-traditional Roti here if you feel so inclined. Since this is a new recipe, I somehow resisted the urge to throw a bunch of frozen greens in until I could give the flavors a chance to talk to me. Then I totally threw in some spinach at the end, because I love greens in just about everything, but that’s just me! Here’s something that I threw together last night pretty quickly. Sometimes it’s more about getting something good together fast than making an elaborate meal, but this ended up tasting like it took much longer! I threw some kale in the mix for nutrients, color and texture. 1. Add a little olive oil to a medium pot on low-medium heat. Add the garlic and onion, and cover. Let them sweat for about 5 minutes while you chop the sausages. 2. Mix in the seasonings, and bring heat up to medium. Add the sausages, and cook for another 5 minutes, stirring occasionally so you can get a little brown on the sausage. 3. 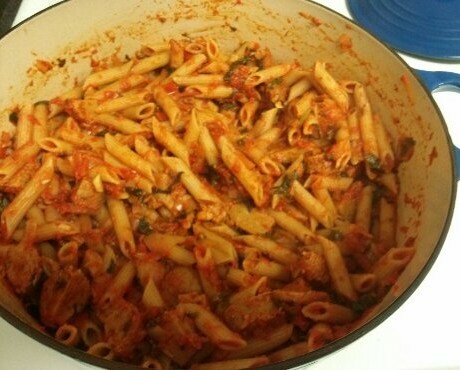 Stir in the crushed tomatoes and greens, and cover to simmer on low for 10-15 minutes. Adjust seasonings if necessary. 4. 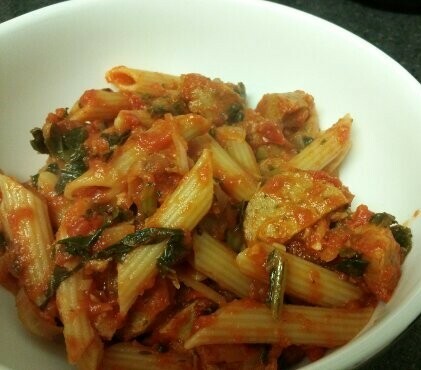 Combine with pasta and sprinkle with a little nutritional yeast to serve! i kept snacking on tortilla chips, and decided to throw this healthier salad together instead. 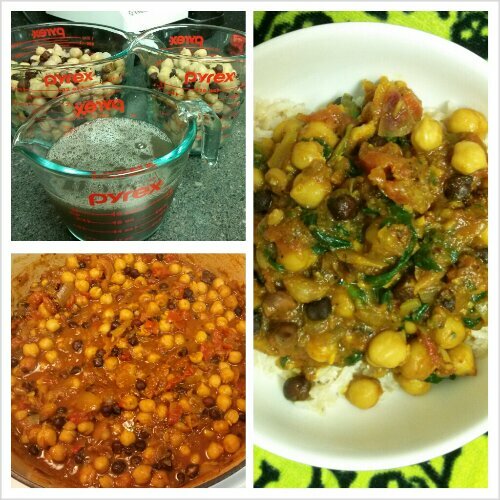 you can’t get an easier recipe, and it’s full of protein, fiber and vitamin c! 1. Bring a large pot of water to a boil. 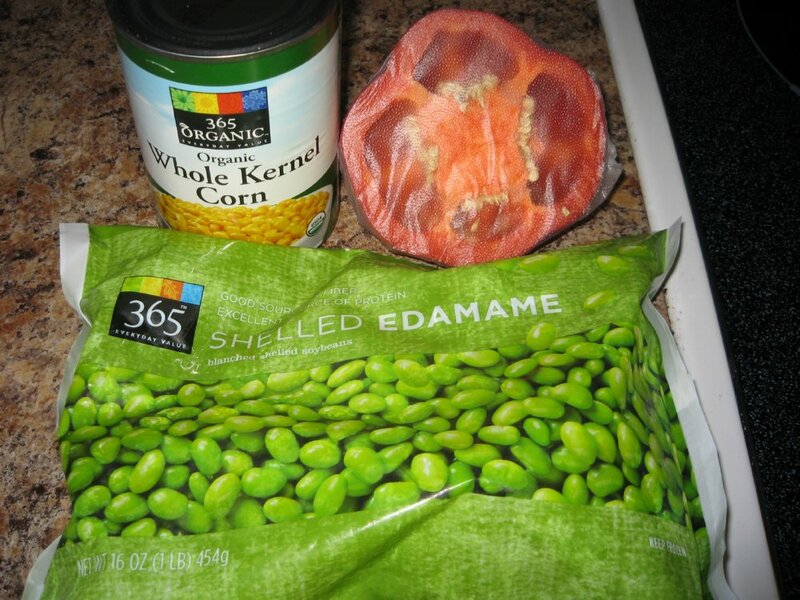 Add edamame and cook for 5 minutes. 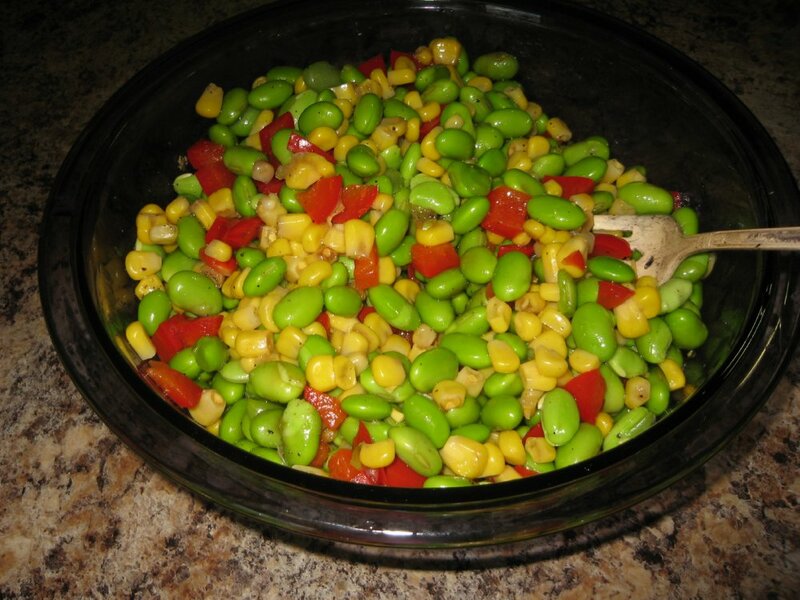 Add corn and bell pepper and cook for 2 more minutes. 1. 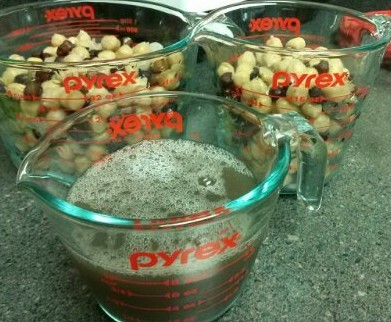 Drain, rinse and toss with oil, vinegar, salt and pepper. you can eat it warm like i did, because i was hungry, or you can refrigerate it and eat later. i’m going to throw this on top of some spinach for an easy and colorful salad later.